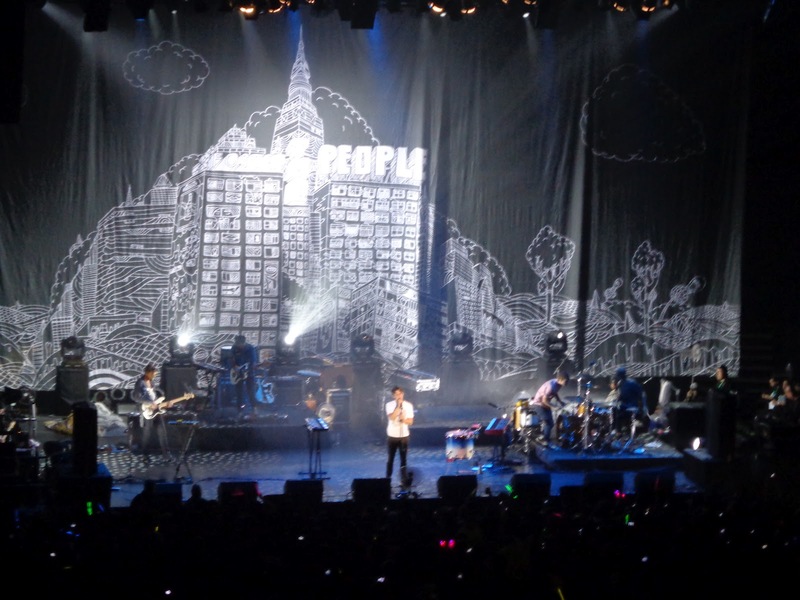 I’ve been crushing on Foster the People ever since I randomly heard ‘Pumped Up Kicks” on the radio almost two years ago, bopped my head to it, typed in ‘Foster the People – Pumped Up Kicks’ on YouTube (and saw Cubbie Fink eyefucking the camera) and caught them perform in Coachella 2011 — so it was a given that when my friend tweeted me about the concert, I freaked. Despite the less-than-a-month-preparation for the concert, it’s a done deal that I’d be in Araneta come October 6th, even if I broke my hip or arm or whatever (true enough, I did slip on the office floor the day before the concert — but that’s a different story, one that I shouldn’t have mentioned in the first place, really). To tell you honestly, seeing Snow Patrol live this year is hard to top off. That concert just really blew my socks off. 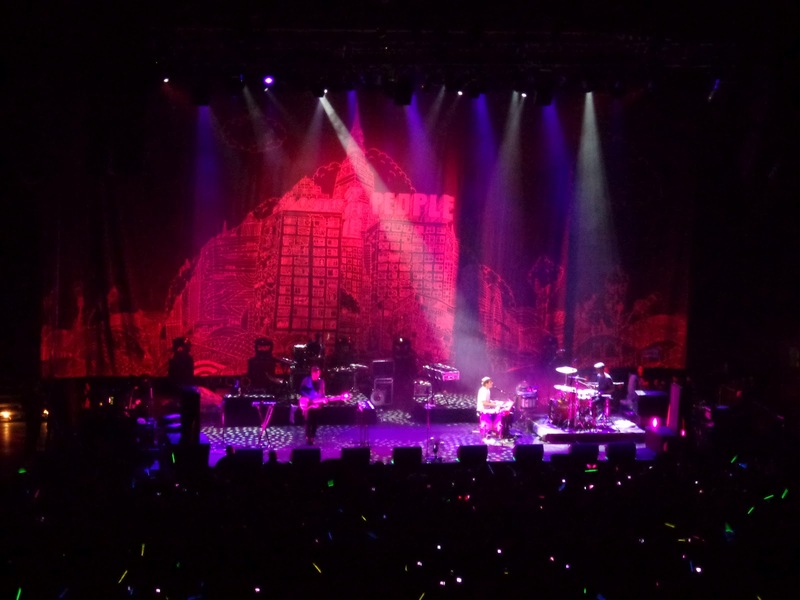 But Foster the People did not disappoint: the very minute Mark Foster stepped out of the stage and grabbed the mic, his skinny legs doing that weird dance, the whole stadium transformed into a big party. The stadium was a beautiful sight too – I can only imagine how much more it is for the boys: hundreds of people jumping, screaming, singing along to their album’s tracks, multiple glow sticks in different colors dancing along to the beat — from where I was, it was just pure fun. * No DSLR shots for the night. Just ye olde point and shoot camera. Mark Foster was quite a showman, and if you haven’t seen him perform before, you might think he drank a lot of Kool-Aid from his guitar-throwing and keyboard-stand-pushing moves (we think he’s weird, but he’s weirdly good too, so we let it pass). 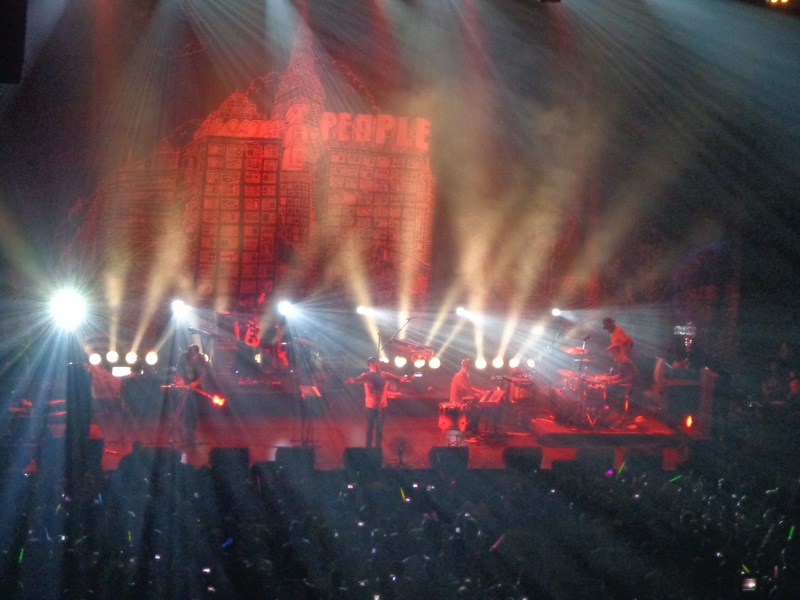 The other two members, Cubbie and Ponsi, were a bit quiet throughout the night, though. 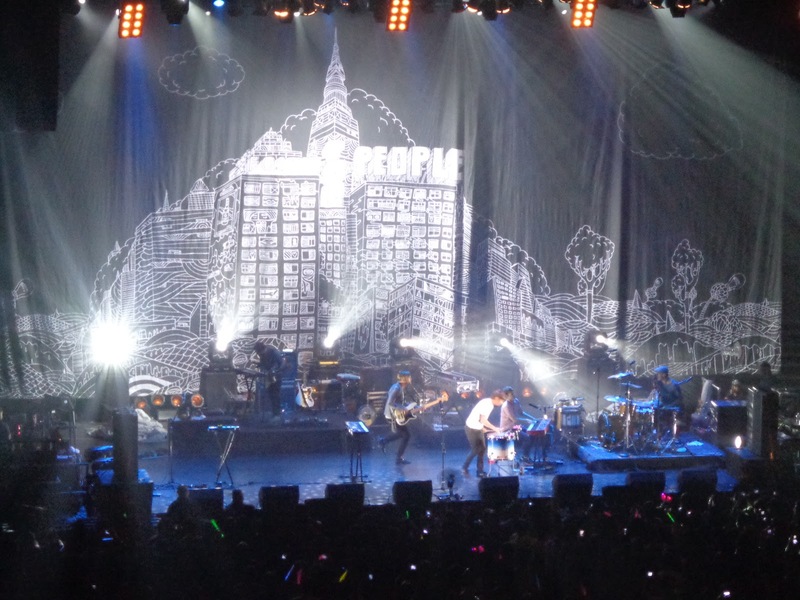 Cubbie sometimes moves around the stage, travelling from the left side to the right, where Mark Pontius (yes, that’s Ponsi) is. Other than that, I think Isom Innis pretty much stole the show — yes, the guy with the maracas and sometimes beats the hell out of the snare drum (dude, you are AWESOME and how awesome is your name?). I’m giving props to Sean Cimino too, cause god, the whole night was pretty good. The night felt pretty fast though. Post-concert, the whole thing felt like a weird flash of lights and sounds. Also, I think I’ve gone a bit deaf, I don’t know if it was the speakers or my own screaming at fault here, but yeah, it was a loud night. The good thing was there were no breaks too, thank God, just one song after another, in between outros that could keep you guessing what’s coming next (bragging: I got “I’d Do Anything for You” from the very first note haaa! Fan girl badge, present). It would have been better if they used the big screen so I can at least see their pretty faces closely, but I guess that’s a patron girl privilege. We got closer seats than the usual though, and despite my efforts to shout out “PONSIIIIII”, I’m guessing he never heard it. I have ginger tea brewing as I type, and I can’t really talk too much cause I think I seriously strained my vocal chords. That’s never happened in a long while (it only happened when the Backstreet Boys had a concert in 2010 hahahaha). So a hundred points for Foster the People?